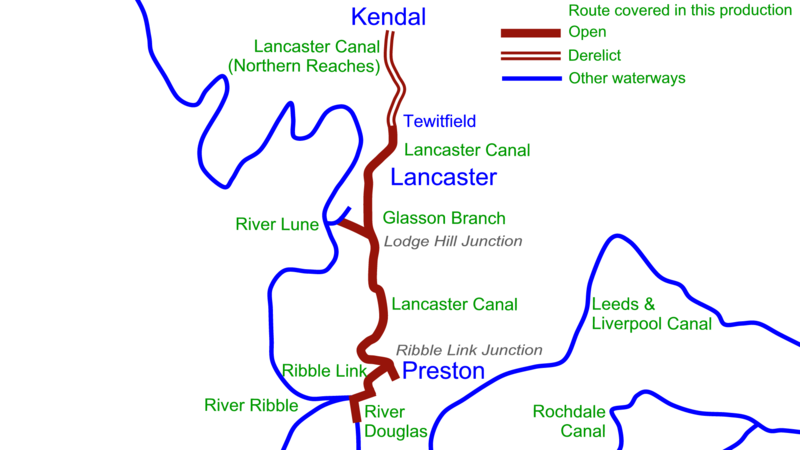 Starting with the Ribble Link, leaving the Leeds & Liverpool Canal at Tarleton Lock, we cross the exciting tidal stretches of the River Douglas and the River Ribble before climbing the locks of the Ribble Link to reach the lock free Lancaster Canal main line. Gentle cruising covers the navigable length of the main line of the Lancaster Canal to Preston and Tewitfield, plus the locks of the Glasson Branch descending to reach Glasson Basin. Covering the Northern Reaches on foot, we see progress with the restoration work on our journey to Kendal, with glorious scenery along the way. 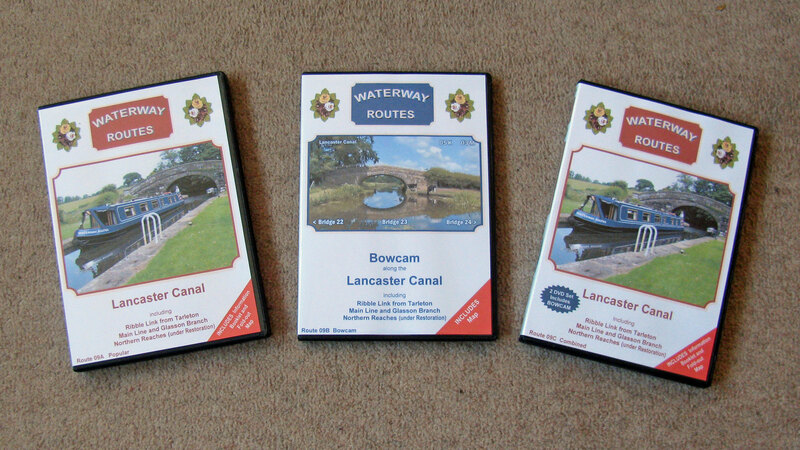 Route covered by the Lancaster Canal DVDs. Lancaster Canal DVDs in a choice of formats. Contents of Lancaster Canal Combined DVD. Extract from Lancaster Canal Maps. 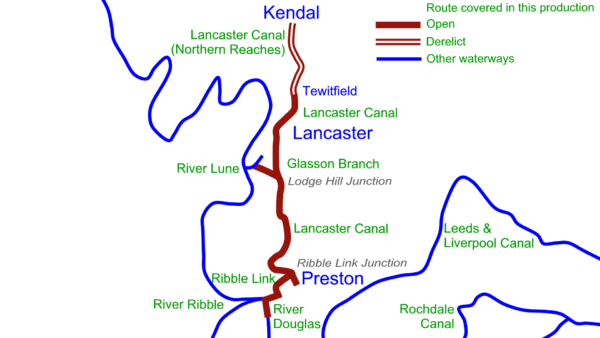 Read more about my Lancaster Canal Maps.